DeSilva+Phillips client, The Law Report Group, New York-based publisher of The Hedge Fund Law Report and the FCPA Report, has been acquired by Mergermarket Group, a BC Partners portfolio company. 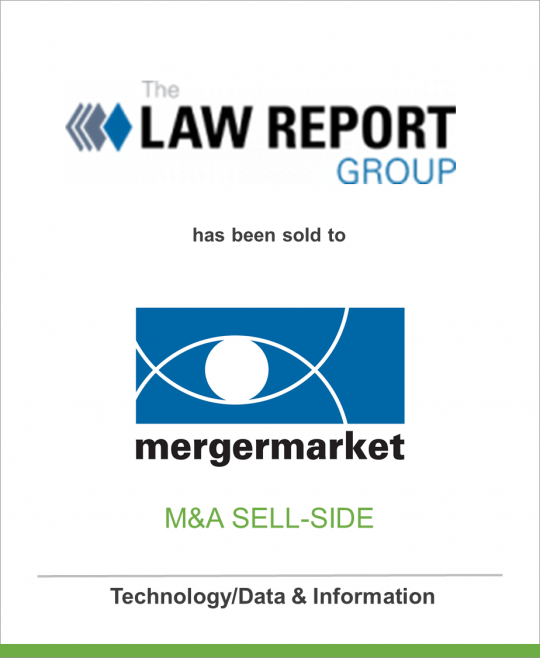 The acquisition bolsters Mergermarket Group’s legal and regulatory expertise. The Hedge Fund Law Report is the definitive source of actionable intelligence on hedge fund law and regulation, offering incisive analysis of key developments in rulemaking, compliance, case law, regulation, enforcement, taxation, derivatives, marketing and best practices. The FCPA Report combines domain expertise with deep research and reporting to yield actionable insight on the Foreign Corrupt Practices Act and global anti-bribery law. As increased global regulation surrounds hedge fund activities and anti-corruption enforcement continues to rise, the acquisition is a natural extension for the Mergermarket Group product suite that includes Mergermarket, Debtwire, Dealreporter, Infinata, Policy and Regulatory Report (PaRR), Wealthmonitor and Xtract Research. With a global footprint in 65 countries, the Mergermarket Group provides finance and industry intelligence, analysis and data to investment banks, advisory professionals, fund managers, private equity firms, industry and corporate professionals. The Law Report Group publishes The Hedge Fund Law Report and The FCPA Report the leading information resources focused on, respectively, investment management law and regulation and global anti-bribery compliance. The Law Report Group combines proprietary legal expertise with trenchant reporting to generate expertise-based journalism on topics of mission-critical importance to subscribers. Legal, compliance, operating and other professionals at private fund managers, law firms, accounting firms, prime brokers, institutional investors, operating companies and other institutions use Law Report Group products and services to spot issues, identify trends, update compliance programs and implement best practices. The Mergermarket Group is a media company which provides the advisory, corporate and financial communities with forward-looking intelligence, analysis and data that you simply can’t get anywhere else. Many of the world’s principal advisory firms, investment banks, law firms, hedge funds, private equity firms and corporates subscribe to our products. The unparalleled intelligence they have access to enables them to remain firmly on top of the latest market developments.